← What Is a Swan Song? Charles Ponzi, who let about 40,000 people in on a rare investment opportunity. Get-rich-quick schemes are a dime a dozen. Well, the initial investment is usually more than a dime, but the prospect of making a fortune by risking only a modest sum has been touted by shady characters for centuries. One of the most notorious methods of defrauding investors is the Ponzi Scheme. It’s named for a guy named Charles (Carlo) Ponzi, who came to the United States, along with millions of other immigrants, at the beginning of the 20th century. He had several occupations, most notably “prisoner”. After spending three years in a Montreal penitentiary and two years in Atlanta Prison, Ponzi went to Boston and worked in an actual job. That’s where he accidentally found out about something called an International Reply Coupon. The coupons were a way of obtaining international postage; the IRCs could be exchanged for postage stamps to send and receive parcels and correspondence. The fact that many people who had recently arrived in North America still had friends and relatives abroad meant that a fair amount of mail went in both directions. Since World War I had just concluded, the European currencies were still depressed relative to the U.S. dollar. Ponzi figured out that it would be possible to buy the postal reply coupons in Italy for the equivalent of $1 (U.S.), and then sell them in America for three or four times that much. So that’s what Ponzi did. At least, that’s what he did at first. In 1919, he borrowed some money, sent it to relatives in Italy, had them buy IRCs with the money and send the coupons back to him. This proved to be a bit of a hassle, so it occurred to Ponzi that it would be a lot easier to eliminate the step of actually buying the coupons. He talked friends into investing wih him, supposedly to purchase IRCs; he promised them a whopping 50% return in 90 days. Sounds good, right? As word got around, more eager investors wanted in, so Ponzi was able to pay the initial clients with cash he collected from newer clients. Within months, millions of dollars were rolling in. Because the rate of return was high, a lot of clients chose not to immediately take their profits; they reinvested, which helped Ponzi stay afloat a while longer. The obvious flaw in a Ponzi scheme is that to keep paying high returns, an ever-increasing supply of fresh money is necessary. Apparently, Charles Ponzi naively believed that the money would keep flowing in forever. Ponzi spent three and a half years in federal prison for his eponymous scheme, and then moved to Florida where he attempted to sell swampland to suckers. Following that he did a stint in a Massachusetts prison, got deported to Italy, and eventually relocated to Brazil. Charles Ponzi died broke in a charity hospital in Rio de Janeiro. Investors in his notorious scheme lost an estimated $20 million, which was once considered a lot of money. This entry was posted in History and tagged Charles Ponzi, Ponzi Scheme. Bookmark the permalink. What an interesting and informative article. 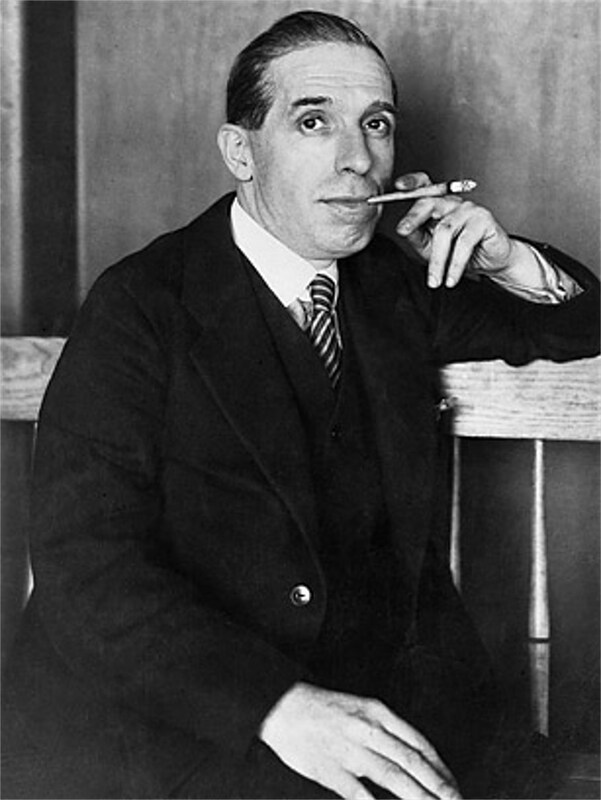 The picture of Charles Ponzi makes it all the more curious, since he doesn’t exactly look worthy of “confidence.” I suppose the get-rich-quick fever over-rides gut-level intuitions. He doesn’t appear to be trustworthy in this photo, but evidently Ponzi must have been quite a salesman. He didn’t do very well at swaying judges, though; with his various convictions, I believe he spent a total of something like 17 years behind bars. Thanks for your comment, Randal. Like moths to a flame, the gullible who want fast and easy money will be drawn in time after time. I love that a reporter brought him down! One of the journalists who was suspicious of Ponzi was Clarence Barron, who later founded Barron’s Financial Newsletter (now Barron’s Magazine). He did some simple math — something that Ponzi doesn’t seem to have been very good at — and determined that the amount supposedly invested by Ponzi would mean there would have to be 160 million IRCs in circulation. That raised the next obvious question, “how many are there in circulation?” Darn reporters — always asking questions.